The hot sun steeps in the vibrant blue skies. There’s a sultry breeze caressing the tree tops, rippling the water’s surface. The feverish warmth of our sweltering summer sedates the twittering birds. Crows softly mutter from behind hidden bushes, and I step inside the gate where the tranquil water of the pool calls for my return. Every year I return to my mermaid days aptly titled because of the serenity and grace of returning to my yearly swimming routine, floating beneath sapphire skies, offering me a temporary reprieve from the trials of arthritis to indulge in the poetry of life. Swimming not only provides necessary exercise for my body, but it temporarily frees my mind from the mundane worries of ordinary life. The buoyant water liberates my joints from unnecessary pressure and strain. Most days I have the luxury of floating in solitude, with only the company of hummingbirds, bees and the languid puff of a tepid breeze – this day I shared the pool with two little girls, catching fragments of their playful chatter while I wallowed in the pleasure of returning to my regular fitness routine, quenching my body’s thirst for exercise to soothe my wearied joints. The two little girls were participating in their own mermaid days, embracing in play the personification of that legendary sea maiden. I watched them dive beneath the aquatic surface, undulating their bodies with their legs fused together like one tail, thrusting them through the water. I listened to their fairy tale unfold, and I couldn’t help but be drawn into their story. It seemed that one mermaid was recovering from an injury. 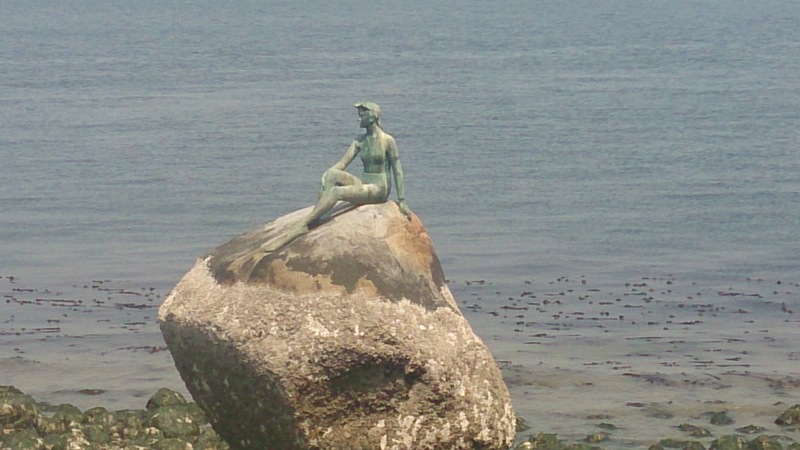 Her tail was bound in a cast, and after sufficient time for healing, the other mermaid was tasked to remove the cast from her friend’s tail and help her regain her strength, teaching her how to swim again. I watched as one maiden expertly removed her cast and demonstrated how to use her tail. She asked her friend to dive into the water so she could observe how she moved. I lost myself in their imaginary world for a while, listening to her instruction, wondering if I was witnessing the birth of a future therapist or caregiver. It struck me how kids in the midst of play can carry an awareness beyond their years of the effects of illness or injury and yet adults struggle daily to raise awareness of a disease barely acknowledged in its role of changing lives. Arthritis is a disease lost in the dark waters of misunderstanding. Living with it feels like swimming against the current with a tail bound in a cast. Those who suffer from it must learn to endure the tempestuous tides of its inflammation, grasping onto resilient cords of seaweed for survival. Eventually those little girls reclaimed their legs, leaving behind them a trail of glistening footprints leading me to the hope that perhaps one day those two little mermaids, or others like them, might play a part in giving arthritis a tail to rise to the surface and teach us how to swim in a new world of understanding and awareness. Sending you healing love, Mermaid! Thank you. I will take that magic and send some back your way. Cheers. If I couldn’t swim, I think I would die. It is the only sport I can do now, and because I live in the tropics the ocean is on my doorstep – also the sun – almost all year round. I just re-started with my aqua-jogging group after a long period of illness, and I can’t tell you what a difference it makes, in the sun and salt water, together with your friends. I feel reborn! I know exactly how you feel. I was looking for a good cardio and strengthening workout that would not cause me pain – and the water provided it for me. Glad to hear you are doing great. Cheers. Beautifully stated. The words flowed like water. I wish I’d learned how to swim. Letting the water hold you and soothe you must be a wonderful feeling. It is a wonderful feeling Irma. I love nothing better than gliding through the water, knowing that I’m getting my exercise without added pressure on my joints. My parents can’t swim either, but they put me and my brother into lessons. It took me awhile to warm up to the idea of swimming, but I’m sure glad I did. Hope all is well with you. Hugs. With arthritis, swimming has always been a great thing for me. With it being easy on the body it makes all the difference. I have been doing Tai Chi and it too is very low key and works for me. Dr. Paul Lam and his book Born Strong are pretty much the reason I have stuck with it. If you can deal with the work it takes to live with the arthritis, then you can find things to get your life back and enjoy yourself. I have always wanted to try Tai Chi. I did yoga for years, and still do sometimes, but some poses put a bit more pressure on my joints.I’ll keep swimming as long as summer holds out 🙂 Thanks for stopping by and wishing you well. Cheers.